The recombinant human erythropoietin contains 165 amino acids and is obtained by recombinant DNA technology. It has a molecular weight f 34,000 Dalton and is produced by CHO cells (cells of the ovary Chinese hamster), in which the human erythropoietin gene was transfected. The product contains an amino acid sequence identical to Erythropoietin natural (endogenous). Endogenous production of erythropoietin is normally regulated by level of tissue oxygenation. Hypoxia and anemia generally increase the production of erythropoietin, which in turn stimulates erythropoiesis. with chronic renal failure, the production of endogenous erythropoietin is deficient and that the pathogenesis of anemia in these patients is multi-factorial, this deficiency is the primary cause. 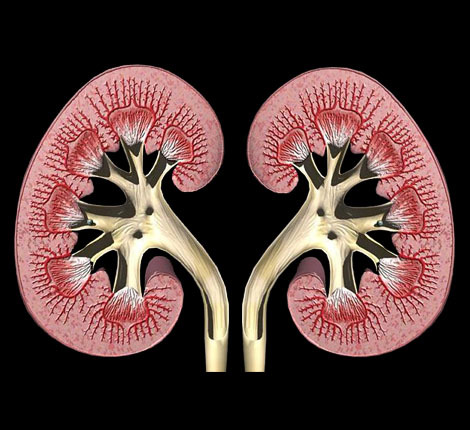 Chronic renal failure is the clinical situation in which there is a progressive and usually irreversible decline in renal function and anemia presents itself as a sequela of this disorder. Patients in stage late renal failure requiring dialysis or transplantation to their survival. It has been shown that erythropoietin stimulates erythropoiesis in anemic patients, both those who undergo dialysis and those who do not regularly. The first evidence of response to erythropoietin is the increase in reticulocyte count in the first 10 days of treatment, followed an increase in erythrocyte count, hemoglobin and hematocrit, usually in 2-6 weeks. Once achieved the target of hematocrit (33% - 36%), this level should be maintained if there is iron deficiency or other disease concomitantly.